Immaculate 3 bedroom 2 bathroom villa with a roof solarium and a swimming pool located in a fantastic area and within walking distance of amenities of Arboleas. This spacious villa is within walking distance of amenities including bars and restaurants and a Saturday market and within a couple of minutes?€? drive of Arboleas village and 5 minutes?€? drive from the larger market town of Albox where you can find all amenities for day to day living. The property is located on a fully walled and gated plot of approximately 600m with double gates to a driveway for off road parking. 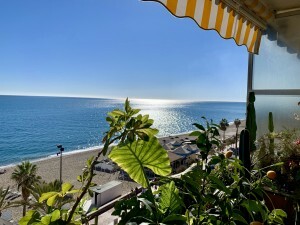 The plot is very private and secure with high walls and has a roof solarium to enjoy the fantastic views, also in the garden is a spacious casita. The property itself comprises of a fully fitted kitchen/ diner, a separate utility room, a spacious lounge with a pellet burning fire, three double bedrooms and a family bathroom. All bedrooms have air conditioning, ceiling fans and built in wardrobes. The master bedroom also has an ensuite bathroom. The property even has central heating for the colder months. A fantastic property suitable for a permanent home or a holiday home safe to lock up and leave.